Professor Tom Marwick is currently the Director of the Baker Heart and Diabetes Institute, Melbourne and the former Director, Menzies Research Institute, Hobart and Center for Cardiovascular Imaging at the Cleveland Clinic, Cleveland, Ohio, USA. An internationally recognised expert in the field of cardiovascular imaging and an eminent teacher and scientist with numerous peer reviewed publications. He has authored and co-authored many book chapters on various facets of echocardiography. 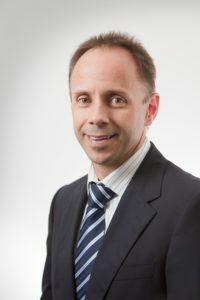 Associate Professor Philip Mottram is a clinical cardiologist and non invasive imaging specialist with expertise in all forms of echocardiography (TTE, stress and TOE) as well as cardiac CT. 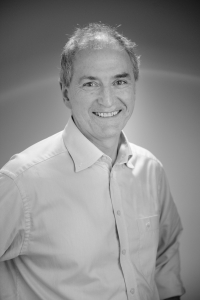 He is currently the Head of Non Invasive Imaging Services at Monash Heart. Associate Professor Mottram completed his undergraduate degree at Monash University with a high distinction, winning three prestigious university prizes. Phil completed his clinical cardiology training in 2000, followed by an 18-month fellowship in clinical echocardiology with the Department of Cardiology at Southern Health’s Monash Medical Centre Clayton. Phil then undertook a research fellowship as a National Heart Foundation Scholar with the Cardiac Imaging Research Group in the University of Queensland Department of Medicine. Phil completed his PhD in 2005, which led to several publications in leading international journals, including first author studies in Circulation and JACC. 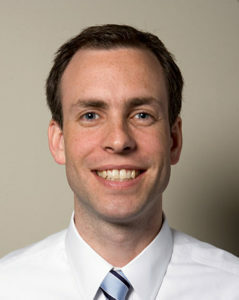 In 2005, Phil was awarded the John H Tyrer Prize in Internal Medicine. Phil is active in clinical research at Monash Heart, collaborates in multicentre cardiac imaging studies, and has co-authored approximately 50 scientific papers. Phil’s current interests include transoesophageal imaging for assessment of patients with mitral regurgitation, and TOE guidance of percutaneous mitral valve interventions. 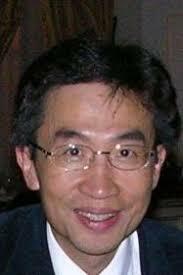 In 2012 he was appointed as an Adjunct Associate Professor in the Department of Medicine, Monash University. Dr Galligan trained locally graduating from the University of Tasmania medical school and initially training at the Royal Hobart Hospital, completing basic physician training and beginning training in cardiology. He then continued cardiological training at the Royal Prince Alfred Hospital in Sydney and the Children’s Hospital in Sydney where he undertook training in paediatric cardiology. He then subsequently completed an interventional cardiological fellowship in Canada . Following return to Hobart in 1990 he has worked jointly in private practice and as a VMO in cardiology at the Royal Hobart hospital. He has an ongoing involvement with the medical school. His practice includes all aspects of general cardiology with special interests in interventional and paediatric cardiology. Dr James Hare is a cardiologist in Heart Failure and Transplantation at the Alfred Hospital in Melbourne and a Senior Research Fellow at the Baker IDI Heart and Diabetes Institute. He completed his PhD in advanced echocardiography at the University of Queensland with Prof Tom Marwick. His thesis investigated the role of novel cardiac imaging techniques such as myocardial strain and 3D echo to assess left ventricular function in clinical populations. Subsequently, he completed a post-doctoral fellowship in cardiac MRI with Prof Matthias Friedrich at the Libin Cardiovascular Institute, University of Calgary, Alberta, Canada. Specific research interests in cardiac MRI have included tissue characterization techniques (T2 and T1 mapping), oxygenation-sensitive CMR (BOLD), reproducibility studies and implementation of new CMR techniques into clinical practice. Dr Hare has published and presented cardiac imaging research in both echocardiography and cardiac MRI at multiple international meetings and journals in Asia/Pacific, Europe and United States. He is an active member of the Australian and New Zealand Working Group on Cardiac Magnetic Resonance (ANZCMR), as well as a member of the Society for Cardiovascular Magnetic Resonance (SCMR). He developed and currently maintains the ANZCMR working group website. He is a current member of the American Heart Association and the International Society for Heart and Lung Transplantation. 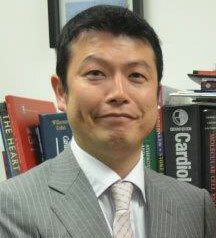 Dr Kaz Negishi is a senior lecturer and cardiologist at Menzies Research Institute Tasmania. He graduated from Gunma University, Japan and completed a two-year Echocardiography fellowship at Osaka City University, Japan. He completed his PhD at Gunma University Graduate School of medicine. He then moved to Cleveland Clinic, USA to pursue his research interests and spent three years as a research fellow under the supervision of Professor Tom Marwick. His main area of interest is clinical application of Echocardiography, especially strain imaging. He is also interested in the application of the cardiovascular imaging such as chemotherapy induced cardiotoxicity, ventricular-arterial coupling in haemodialysis patients and the effects of air pollution on the cardiovascular system. Dr Stuart Moir is a clinical cardiologist and multi-modality non-invasive imaging specialist, with expertise in echocardiography, as well as cardiac CT and MRI and he is currently the lead cardiologist for the cardiac MRI service at MonashHeart.He completed his clinical cardiology training and an 18 month fellowship in echocardiography at MonashHeart in 2002. Stuart then undertook a PhD with the Cardiac Imaging Research Group, University of Queensland, Department of Medicine, examining the application of contrast echocardiography for the diagnosis and treatment of cardiac disease. This led to several publications in leading international journals, and as a research fellow he was awarded the prestigious combined National Heart Foundation and National Health and Medical Research Council Scholarship, presented many papers at national and international conferences and was a finalist for the Ralph Reader Prize at the Cardiac Society of Australia and New Zealand.Stuart then acted as the contrast echocardiography fellow at the Mayo Clinic in Rochester Minnesota USA, before returning to a staff specialist position at MonashHeart in 2006. He subsequently trained in cardiac CT in San Francisco in 2008 and completed a cardiac MRI fellowship at The Heart Hospital in London in 2013. Dr Sudhir Wahi is a Senior Staff Cardiologist, and the Director of Echocardiography at the Princess Alexandra Hospital and a Senior Lecturer at The University of Queensland in Brisbane. He completed his advanced fellowship in cardiac imaging at the Cleveland Clinic Foundation, in Ohio, USA, before returning to his current position. An enthusiastic teacher and researcher, he has been supervising advanced trainees in cardiology, cardiac scientists and clinical fellows in all forms of echocardiography for over 10 years. Professor Dominic Leung is a senior staff specialist in cardiology and director of echocardiography at the Liverpool Hospital, Sydney Southwest Area Health Service.Professor Leung is an internationally acknowledged expert in echocardiography and cardiac imaging. He has published > 100 papers in peer-reviewed journals, book chapters, editorials, reviews and invited articles in major journals. 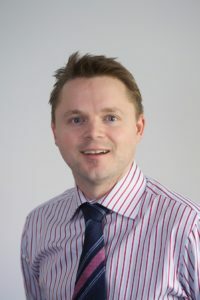 Dominic is also actively involved in undergraduate and postgraduate medical education and supervises a number of BSc (Hons), Masters and PhD students. Dominic has also been able to attract research funding from the National Health and Medical Research Council, National Heart Foundation and other funding bodies. Professor Liza Thomas is a Conjoint Associate Professor at the University of New South Wales and a Senior Staff Specialist in the Department of Cardiology at Westmead Hospital. Her research focuses on echocardiography and noninvasive cardiac imaging. Specific interests include imaging for the assessment of atrial dynamics and function, diastolic function, chemotherapy induced cardiomyopathy, amyloid and Fabry cardiomyopathies and cardiac involvement in chronic kidney disease. She supervises PhD, Masters and ILP students and teaches medical students, BPT’s and cardiology fellows.